Petly is a secure personal health page for your pet, that gives you direct access to your pet's health records 24/7. We're happy to provide Petly to all our current clients who have an active email address at the practice. Why Would I Like to Have a Petly Page? Petly is a great way to view your pet's health records, anytime, plus you can easily connect with us at your convenience. 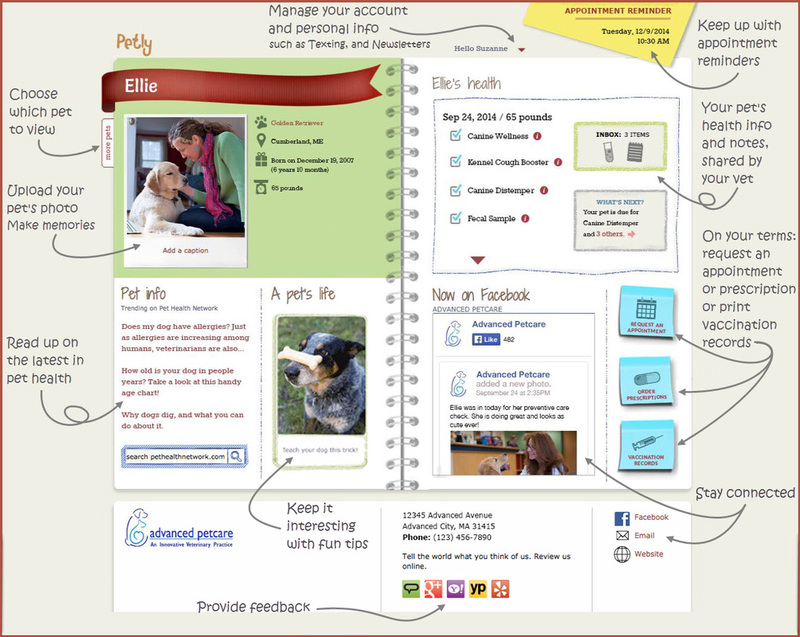 Petly offers many features to help you keep track of your pet's health needs, and shares informative articles on the latest trends in pet health. Create Your Own Petly Page Submit your information below if you would like us to send you a personal email invitation to activate your Petly. *We take your privacy seriously, and will not share your e-mail address, nor will we send unsolicited communications to you.